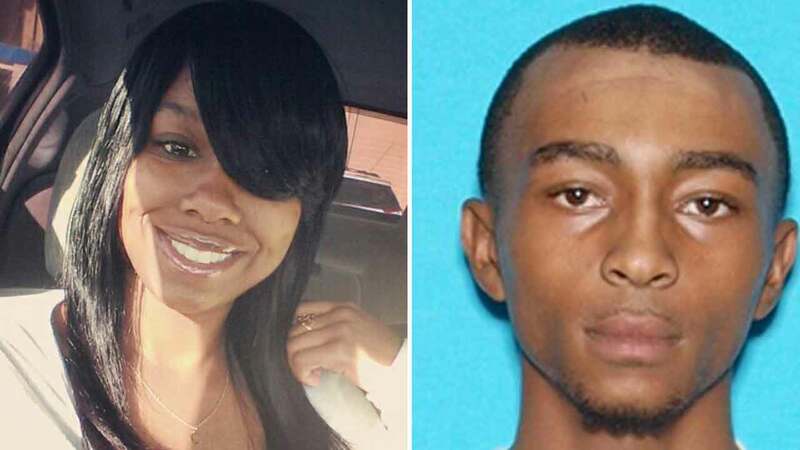 Nakasia James, 18, (left) was sought by police after allegedly fatally stabbing her 21-year-old boyfriend, Dorian Powell (Right) in San Bernardino on Monday, Jan. 11, 2016. SAN BERNARDINO, Calif. -- An 18-year-old woman who allegedly admitted on her Facebook page to killing her boyfriend was arrested Sunday and charged with murder, police said. Nakasia James was arrested by Hemet police in connection to the murder of her boyfriend, 21-year-old Dorian Powell. Powell was found dead of apparent stab wounds at an apartment in the 2000 block of N. Central Avenue in San Bernardino Monday morning following a possible domestic dispute between the couple. James was identified as a suspect in Powell's murder after police said she took to Facebook to tell her side of the story. The now-deleted message to family and friends laid out James' version of what may have happened. The 18-year-old wrote in part: "Last night, my ex was drunk ... was fighting me... hit me in the face... and I get the knife and stabbed him. Didn't think I would hurt him. Sorry, lord, hopefully you forgive me, and sorry, Dorian Powell. RIP." The investigation is ongoing. Anyone with information about the incident was asked to contact Detective Lewis at (909) 384-5762 or Sgt. Kokesh at (909) 384-5615.